The authors of Before and After the State: Politics, Poetics, and People(s) in the Pacific Northwest attempt to expand our understanding of the development of two nations, and a border between them, from a mostly political story to one that explores individuals’ everyday experiences. For a book that is broken into two parts – one dealing with the imposition of state structure on the Pacific Northwest, the other exploring this development through the voices of those who lived through it – and is written by three academics (one a political scientist, the others anthropologists), the book is surprisingly cohesive and tells a unique story of how two nations laid claim to the region. According to Allan K. McDougall, Lisa Philips, and Daniel L. Boxberger, the established stories of the Pacific Northwest largely involve two competing narratives: south of the border, it is Manifest Destiny and how the Oregon Trail brought to the region hard-working American pioneers, white Christians from the East who sliced through the wilderness like a hot knife through butter. North of the border, it is the tale of Britain’s Hudson’s Bay Company, which establish a social and political framework that helped lay the foundation for Confederation. 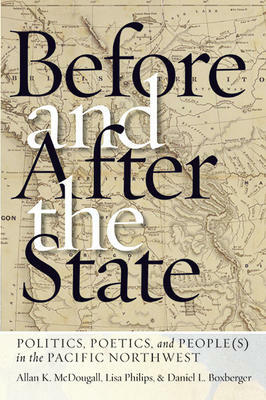 Of course, the authors of Before and After the Statefeel this leaves out many important stories, most notably those of the people who lived in the Pacific Northwest prior to the establishment of a visible state apparatus, those who helped implement it, and those who worked to cement its power in the early years of the twentieth century. And, to their credit, in the book’s second part, the authors do a fine job of bringing these stories to the forefront and using them to reinforce the national narratives laid out in their work’s first half. Most fascinating may be the stories of Ranald McDonald and Elizabeth Bacon Custer, the wife of the US Army officer who died in the Montana Territory during the Battle of Little Big Horn in 1876. Fast-forward eighteen years and we find Custer, who has established a name for herself as a journalist, interviewing McDonald, the son of a high-ranking HBC officer and the daughter of a Chinook chief. Although he led a fascinating life that took him to Japan, where few whites traveled in the nineteenth century, and back to the Pacific Northwest to help build some of British Columbia’s earliest and most vital infrastructure, the mixed-blood McDonald was called a “prince of paupers” by Custer, who characterized him as little more than a crusty artifact of a bygone era. Custer’s story, which is published in several American newspapers, captures the way in which educated, Christian whites from the East forced their version of civilization and the state on the Pacific Northwest, largely erasing the Indigenous and pioneer cultures that had flourished there prior. Credit Philips for capturing the book’s central message in this story of two very different people; thankfully, there are other stories of this kind to enjoy here. One wonders if it would have been possible to provide more of these accounts and less of the well-established narratives that make up the book’s first half. It is also worth noting that the book threatens to lose its reader long before its intriguing second half by using the academic jargon that so often scares people away from works of this kind. Terms like “proscenium stage”, “static perspective”, and “social ascendancy” – used a bit too liberally in the introduction – threaten to mask its value and prevent readers from pressing on. Nevertheless, there is much to enjoy here, particularly for those interested in learning the deeper story behind the social and political development of the United States and Canada in the Pacific Northwest. 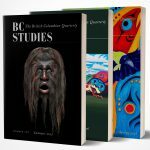 Vancouver: UBC Press, 2018. 332 pp. $34.95 paper.